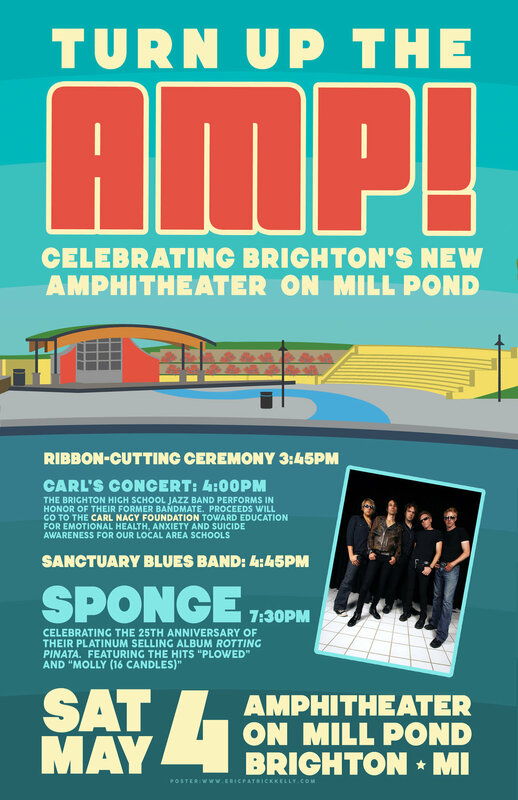 Join the City of Brighton Downtown Development Authority for the Grand Opening of Brighton’s Amphitheater on Mill Pond — The AMP! Following a 3:45 p.m. ribbon cutting, join the Brighton High School Jazz Band and Sanctuary Blues Band for "Carl's Concert". Detroit's own Sponge will close out the night at 7:30 p.m.. All donation proceeds will benefit the Carl Nagy Foundation.